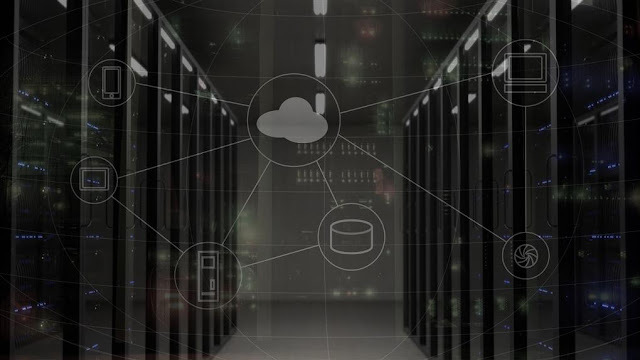 Migrating to the cloud is a huge decision and therefore you need to weigh several pros and cons of before making any sort of changes in your infrastructure and the way of working. The ultimate goal of doing any new change in an organization is increasing ROI (Return On Investment); which also directly proportional to increasing the effectiveness and productivity of the employees. As per the surveys were done in the last decade, the organizations have voted in the favor of adopting cloud computing and said that they are benefitted from this change. Employee productivity has increased in multiple ways like reducing downtime, increasing communication efficiency and collaboration. Seeing a downtime is a nightmare for the organizations and everyone wants an efficient service so that they hardly ever see this nightmare. Cloud service providers dedicate a special team to look after the smooth running of services for their clients. The technical support team ensures that the issues are responded at a faster rate. These steps help in reduction of the downtime and hence contributes in increasing employee productivity. To enhance the efficiency of the company for an increased time, the cloud computing team makes sure that the team doesn’t get stressed due to the day-to-day tasks. Instead, the service provider sees to it that the team focuses on the new strategies and customer-specific problems. So, the organization utilizes the IT resources more efficiently and divides the tasks according to the team’s expertise. The most known benefit of cloud computing is the ease of access. Employees are having the ease of accessibility by which they can fetch whatever they want from the cloud at anytime and anywhere. The feature of reaching out to the colleagues in real-time irrespective of location and time has given employees a liberty of work. Due to an increase in effective collaboration, companies have reported that productivity is increased by 400%! So, that is quite a big number! The clients after shifting to the cloud, get the ability to use the latest tools and features. The feature of scalability, especially the vertical auto-scaling feature caused a big revolution in the cloud industry. This rise in flexibility gives organizations the power to serve to the heavy load requirements of clients on demand. Having the right and time-saving tools can make the employees more productive. Generally, the major amount of cloud computing platforms easily integrates into different software applications. This seamless integration offers various benefits to the employees like switching between the tools instead of the manual passing of the information. Automatic switching between the tools consumes less time and is very likely to be error-free. There are situations where some sort of disaster can occur and wreak havoc on your organization. It may be due to online threats, malware or, ransomware attacks. The disaster recovery services provided by the cloud service providers can help you in dealing with such crisis situations. Due to virtualization, it is now possible to have multiple clones of your data easily available at the data centers. Any internet-connected device has the potential to turn into a work machine depending on the load that device can take and the functions which need to be operated. Employees can now become more responsive on-the-go and hence this increases the productivity. After the research, many business owners say that they have gained a competitive position in the business race. Implementing cloud computing made them unable to capitalize the opportunities rapidly than other competitors. The technology gives organizations the power of speed and agility. Due to this power, the SMBs can easily come in the competition with bigger companies. With an increasing number of security breaches, ransomware attacks, and online frauds, there is even more necessity of a top-notch security service. Such attacks restrict the employees from getting access to data files, and the downtime can affect the productivity. Reputed cloud service providers have specialized security services which can prevent such threats, and even if they happen, they can make you recover quickly. Thus, this security-as-a-service also increases the productivity of your organization. Due to cloud computing, handling the enormously increasing data is getting very smooth. Employees can sort, analyze, structure, design, and organize big data in a matter of minutes. Moreover, the data, statistics, and analytics can be easily shared and accessed across the organization, or even several branches of the organization swiftly in real-time. This makes decision-making super easy due to reducing the errors and repetitive efforts on the same tasks which lead to wastage of time. All in all, cloud computing provides lots of ways which helps in increasing the productivity and efficiency of your organization and obviously in turn, of the employees.